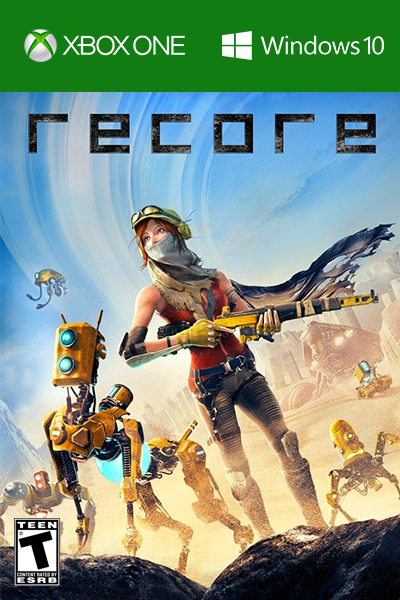 ReCore - XBOX One and Windows 10 PC product is a digital code, once bought, the code will be sent to your email or can be downloaded directly from your screen. These codes are original and produced by the developer.. These codes have no expiry date. From legendary creator Keiji Inafune and the makers of Metroid Prime comes "ReCore", an action-adventure masterfully crafted for a new generation. And it can be yours to own now to play on XBOX-ONE or Windows 10 PC, thanks to Microsoft’s innovative play anywhere system and Livecards.eu, offering you the lowest price around! How to buy ReCore Xbox One/PC? Buying ReCore Xbox One/PC from Livecards.eu is as easy as 1 2 3! Simply fill in your email address, select a payment method and complete the payment! We have some of the cheapest ReCore Xbox One/PC on the market.